In France waste electrical and electronic equipment (WEEE) accounts for 5% of household refuse produced each year. Although this proportion is modest, WEEE requires specific waste management, treatment and recovery operations, both because its toxic contents may endanger the environment and because it contains valuable raw materials. The EU adopted a strict legislative framework (2003 Directive) aiming at improving environmental performance through the involvement of all relevant stakeholders (Member States, producers, distributors). Today this directive is being revised by the European Parliament, following an agreement adopted by the Council of Ministers and the Parliament on December 20th, 2011, after two years of debate. What kind of waste requires specific management? Article 5 §1 of the Directive provides that Member States shall adopt appropriate measures to minimise the disposal of WEEE in the form of unsorted waste, to ensure the correct treatment of all collected WEEE and to achieve a high level of separate collection of WEEE. The goal is to better target goods dangerous to the environment, such as refrigerators containing ozone-depleting substances and fluorinated greenhouse gases or fluorescent lamps containing mercury. The Directive provides as a general goal that from 2016 the minimum collection rate shall be of 45 % (65% in 2019) calculated on the basis of the total weight of WEEE collected in a given year in the Member State concerned, expressed as a percentage of the average weight of EEE placed on the market in the three preceding years in that Member State. In order to make WEEE treatment substantially more efficient, the Parliament provides that Member States may set more ambitious separate collection rates. The Directive considers producers and distributors of electric and electronic equipment (EEE) as part of the waste management process. 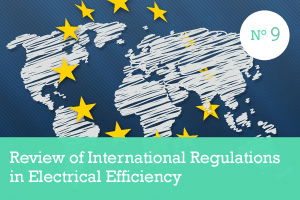 Article 5 §2 specifies, among other things, that WEEE shall be returned free of charge to distributors and that retail shops with sales areas relating to EEE of minimum 400 m2 shall provide for the collection of small household appliances. The Parliament also wishes to get producers involved through the implementation of the principle of “producer responsibility” (recital n°22). Concretely, it means that the design of products and equipment must meet the requirements established in the Directive 2009/125/CE, in view of facilitating re-use, dismantling and recovery of WEEE (see Article 4). Producers are thus involved through the entire life-cycle of a product, from its design and specific labelling to its collection, treatment, recovery and disposal, for the entire financing of which they may have to provide (recital n°23, Article 12 § 1). According to the Parliament (recital n°15), 65 % of the EEE placed on the market is already separately collected today, but more than half of this is potentially the object of improper treatment and illegal exports, leading to environmental damage and putting the health of recycling workers in jeopardy. Besides, many electronic devices contain precious metals (platinum, gold, silver and copper, all prized for their outstanding conductivity) which are exported and then imported back into the EU. As a consequence, the new Directive’s Article 10 § 1 provides that WEEE exports shall abide by the regulations (EC) nº 1013/2006 and n° 1418/2007, which set a strict framework for waste exports through a controlling and monitoring system. This series of measures show that the Parliament pays special attention to WEEE. According to the ADEME, the French Environment and Energy Management Agency, it has been the fastest-growing kind of waste for several years (2 to 3% percent annual increase); the agency sets a collection target of 10kg per inhabitant as a goal to be reached in 2014. The EU Council should now formally adopt this compromise text. Following the publication in the Official Journal of the EU, Member States will be given an 18-month period to transpose the Directive into national law.